Robert studied Landscape Architecture at Iowa State University, and worked in landscaping until 1988. When Robert's wife bought Dyer's Jewelry Supply and Lapidary, Robert taught himself the art and science of lapidary and agates so that he could help her run the business. 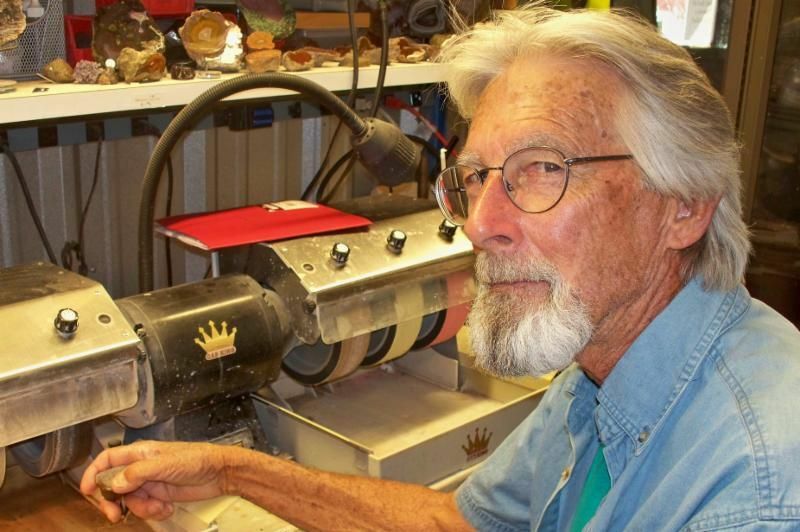 Robert first worked with Nature's Treasures at their former Kramer/Braker location by assisting customers, working in our rock yard, and filling custom lapidary requests. Now, as the Rock Depot's Lapidary Specialist, Robert has launched Austin Agates, an online venue for agate enthusiasts from all over the world to collect spectacular pieces that he has hand-picked, cut, and polished. Many do not know, but Robert also played golf professionally from 1988 to 2003!